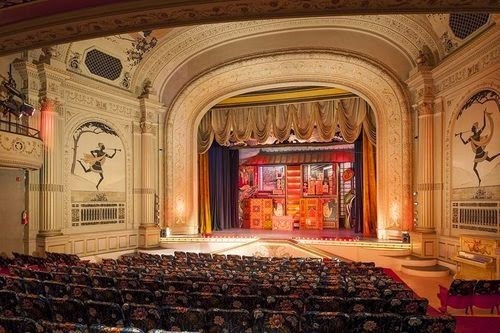 Well it's official, the Cabot St. Cinema Theatre, which was once home (for 37 years) to the incredible Le Grand David and His Own Spectacular Magic Company has sold. When it was first announced that the theatre was for sale, I must admit I feared for the worst. I was scared that a developer would come in and tear down the old theatre and put up condos. Just one town over, in Salem, there was once a theatre. In fact there is a fairly well known photo of Houdini's props sitting out in front of the Theatre making an incredible display. That theatre was torn down ages ago. 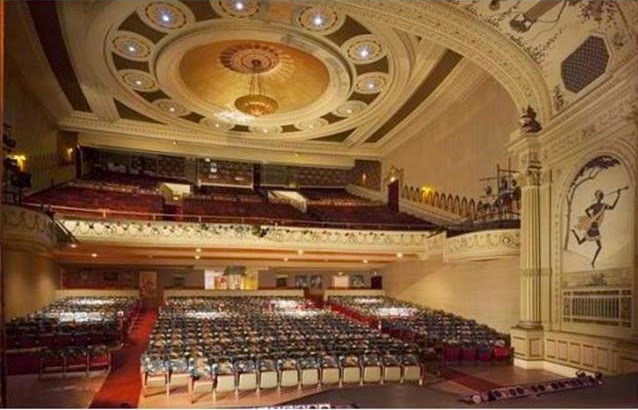 I recently learned that there had been some 20,000 live event theatres back in the heyday of Vaudeville and now about 250 remain. Thankfully, the Cabot will be one of those that stays. Apparently, it was sold to a group of townspeople who plan to turn it into the Cabot Performing Arts Center. BRAVO!!! And they've announced a bit of renovation as well. First up will be installing new seats. Having sat in those Cabot seats many times, I can say, yep, that is needed! I'm not sure what else they plan to do, but I for one am happy the old theatre is staying a theatre! It reopens Nov 14th, once again showing movies. Soon they'll also be doing live events. Probably no magic shows on the horizon, but with the popularity of the new touring shows, The Illusionists, Masters of Illusion, and others, who knows?! I will make one suggestion though, if anyone of the new owners cares. You should acquire one of the LGD Original Paintings and permanently mount it in the Lobby. Had it not been for Cesareo and the many many many cast members, and family members who worked on the LGD show, that theatre probably would not be standing today. By the way, an interesting side note, the Theatre officially sold on Oct 16th, Cesareo's birthday.